Funeral services for Shelby Rae Lambert Honeycutt were Monday, April 8 at 2 p.m. in the chapel of Blanchard-St. Denis Funeral Home with the Rev. Tommy Rush officiating. Burial followed at New Cedron Cemetery in Vowells Mill. Shelby Rae Lambert Honeycutt was born to Arthur Rae Lambert Sr. and Helen Scott Lambert Feb. 3, 1946. She married Charles Honeycutt July 19, 1968, and was married for 50 years, eight months. They had two children, Paula Hilton and husband Thomas and Susan Lukens and husband Robert; grandchildren, Christopher Honeycutt and fiancé Alyssa Smith, Jace Morris, Tyler Morris and friend Merideth Machen and daughter Emery, Brittney Brannon and husband Luther, and Ryan Lukens; one precious great-granddaughter, Karlee Rae Brannon; siblings, her beloved twin sister, Annie Lambert, Francis Berry and husband Jack, Arthur Lambert Jr. and the late Reky Fountain; and special sisters-in-law, Yvonne Holland and Lola Stewart. 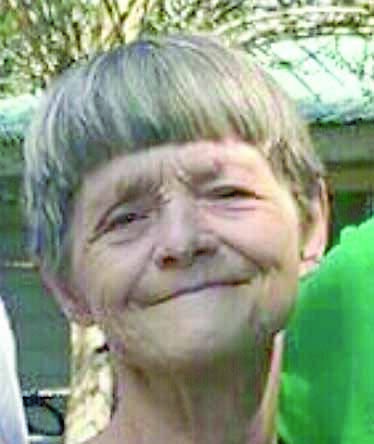 She worked for Natchitoches Parish Hospital for over 30 years as a nursing assistant and retired from there. She dedicated her life to her children and grandchildren. Those honored to serve as pallbearers are Christopher Honeycutt, Jace Morris, Tyler Morris, Ryan Lukens, Luther Brannon and Ronald Holland. Honorary pallbearers were, Gary Giddings, Jerry Jones, Robert Lukens and Thomas Hilton. A special thank you to Dr. Marguerite Picou and Dr. Otis Barnum and all the doctors and nurses at CHRISTUS Highland Hospital and Cancer Center for their professionalism and compassion in our time of need and to Guidroz Physical Therapy.